PHP Data Objects, also known as PDO, is an interface for accessing databases in PHP/aithout tying code to a specific database. 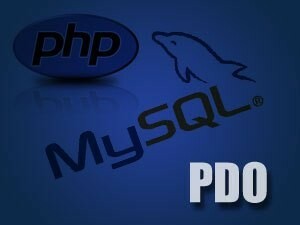 Rather than directly calling mysql_, mysqli_, and pg_ functions, developers can use the PDO interface, simplifying the porting of applications to other databases. Different databases may have slightly different connection methods. Below, the method to connect to some of the most popular databases are shown. You'll notice that the first three are identical, other then the database type - and then SQLite has its own syntax. Please take note of the try/catch block - you should always wrap your PDO operations in a try/catch, and use the exception mechanism - more on this shortly. Typically you're only going to make a single connection - there are several listed to show you the syntax. $DBH stands for 'database handle' and will be used throughout this tutorial. You can close any connection by setting the handle to null.